Europe is seeing a resurgence of hatred and intolerance. While the direct heirs to the Fascist and Nazi legacies have changed their rhetoric, extreme right-wing organizations formed mainly by young people are gaining ground. But they no longer make overt racist or supremacist claims. Instead, they call themselves identitaires. Last April, ALBA presented its annual human rights award to Proactiva Open Arms, a courageous initiative of professional lifeguards who since 2016 have been dedicated to helping refugees who, fleeing the Wars in the Middle East and North Africa, are trying to reach Europe by crossing the Mediterranean. In the face of the passivity of European governments and the incessant stream of deaths at sea, great gestures like those of Proactiva—which have already saved thousands of lives—reveal the immoral and criminal drift of a so-called First World that spends more on border control than on refugee aid. Europe, like the USA, finds itself imprisoned by its worst and most atavistic fears—fears that we believed we had left behind forever. We’ve long been told that fascism had been defeated, and assured that it would never return. Nothing is further from reality. In fact, we are witnessing a clear resurgence of hatred and intolerance. On the one hand, the parties that are the direct heirs to the Fascist and Nazi legacies have changed their rhetoric and aesthetics. They now present themselves as respectable democrats. They claim they are the only ones capable of confronting the elites, and of protecting the cultural essence of the West. And they are no longer marginal. In fact, they have come dangerously close to electoral victory, as we saw in France, Austria, and the Netherlands. On the other hand, the seeds sown more than thirty years ago by the French Nouvelle Droite (New Right) are bearing fruit today. Extreme right-wing organizations, formed mainly by young people, are gaining ground. They are a constant presence in the streets and in the media. Their main objective at present are the refugees. They use fear and terrorism to justify themselves. This new extreme right no longer claims to be racist or supremacist. Instead, they call themselves identitaires, generally translated into English as “identitarian movement.” As self-appointed guardians of Western national identities, their purported mission is to guarantee the survival of their own culture and the well-being of their fellow nationals in the face of external threats. The mantra may seem old, but this movement’s new forms of action are gaining support. Self-appointed guardians of Western national identities, the identitaires claim to fight for the survival of their own culture in the face of external threats. Some fifteen years ago, the Italian organization Casa Pound began to occupy abandoned buildings to provide shelter and food to disadvantaged Italian families, accusing the State of worrying more about immigrants than about their own nationals. This initiative was followed by the Greek neo-Nazi party Golden Dawn, which delivered food to Greek families when the crisis was at its worst, drowning the country in misery. These formulas came to Spain just over three years ago. 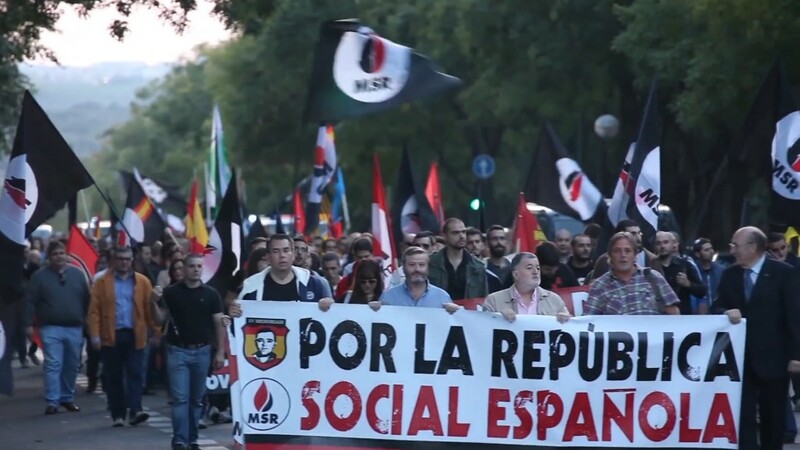 Several groups of young neo-Nazis occupied buildings in Zaragoza and Madrid under the name Hogar Social (Social Home) and proceeded to copy the Italian and Greek models. All these projects use images that shy away from the old Nazi and Fascist symbols. And they have hit on a very effective new rhetoric: the language of national priority. They call their work “social aid for nationals” and declare themselves “guilty of helping our people.” No one is opposed to feeding the hungry. And many would agree that nationals should be taken care of first. Their message has caught on. Although they have not yet evolved into mass organizations, they are gaining ground on the left. The Left knows this, but it has trouble finding the formula to combat this form of hate speech with actions that actually help shift public opinion. The antifascist movement is busy wondering where it went wrong, and how to face a new extreme right that is rapidly gaining hegemony. 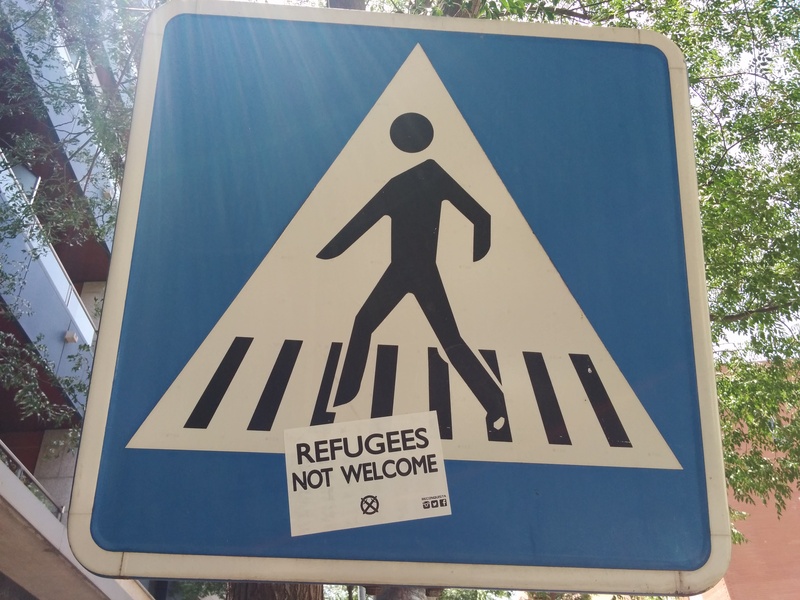 To make things worse, the new ultras are taking cues from Left’s playbook, resorting to squatting and social action, organizing concerts and pulling off eye-catching stunts—such as managing to hang a “Spaniards Welcome” banner off Madrid’s City Hall, in response to the city’s “Refugees Welcome” banner. And the media are helping them in their campaign. The new ultras are taking cues from Left’s playbook, resorting to squatting and social action, organizing concerts and pulling off eye-catching stunts. The danger of a neofascist resurgence in Europe and the United States is real. The rise of hate demands a response inspired by the solidarity and internationalism of the Lincoln Brigade. Organizations like Proactiva Open Arms, which are now forced to confront the new fascism head-on, deserve our full support. Miquel Ramos, an activist, musician, and journalist, writes on far-right movements and hate crimes for the Catalan newspaper Directa and other outlets. A very interesting article , pointing out the new disguises of fascism in our days. They change their language, their signs, their names, their slogans, their esthetics…but it’s the same fascism than before.